Egyptia is an unusual light fawn female from two black parents. She is a Lethal Weapon daughter. 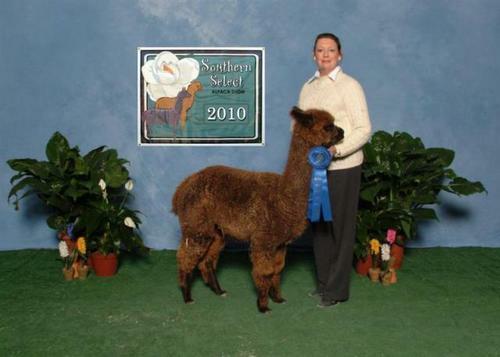 Egyptia had her first cria this spring 2009, out of Peruvian Obsidian. 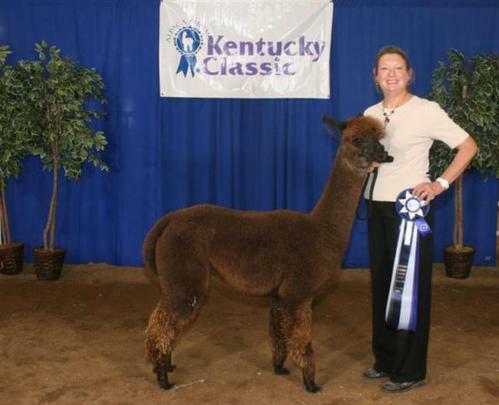 Egyptia's cria is a very striking dark rose grey female, with a great personality, conformation, and fleece. Egyptia will be bred back this fall to our true black sire Angel Fleece Midnight Onyx. 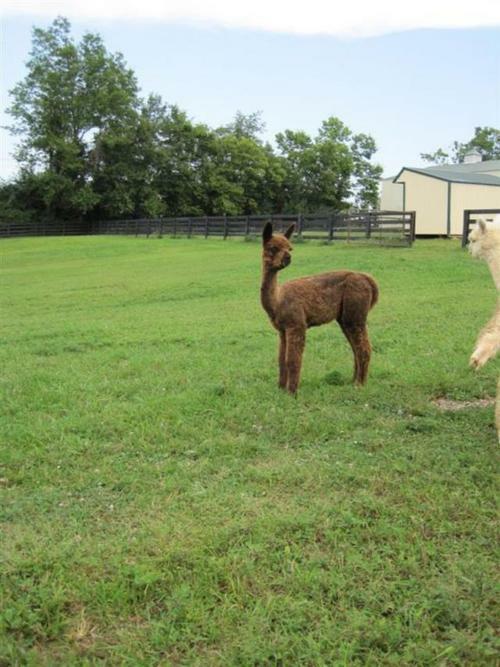 Calypso is a very unusual dark grey/bay black girl with very soft crimpy fleece for a dark animal. She is the blending of Don Timbo, Obsidian,Lethal weapon and Titan bloodlines. She is a fiesty peppy little girl who prances all over the pasture. Come see her and be enchanted.